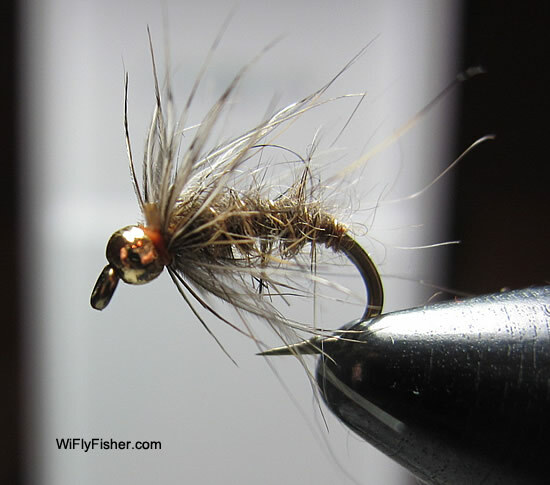 One of my favorite nymph patterns is the hare's ear nymph. 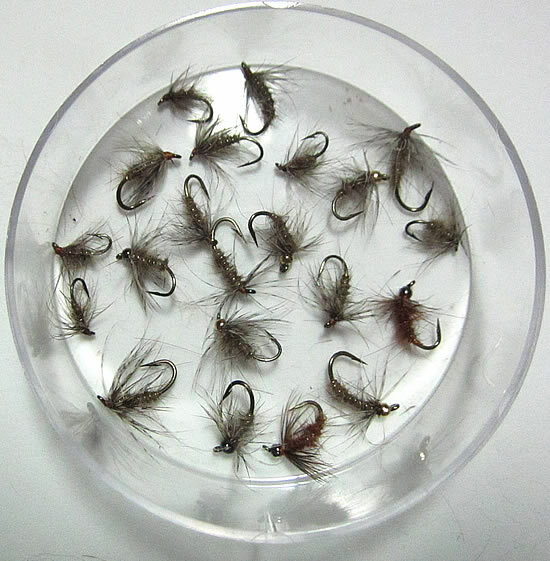 It works well for a variety of mayfly nymphs as well as various caddis fly emergers. It also works well as a diving, egg laying caddis imitiation, or a search pattern when nothing is hatching. Bottom line, it represents a multitude of food forms on the Northern Wisconsin freestone trout streams and is easy to tie. Tie the hare's ear nymph in a variety of sizes, from size #10 down to #18s or 20s. Use a good soft hackle feather, such as grouse or partridge and make sure the body is not too tight. You want some hair fibers flaring out from the body to trap air bubbles. For a more dramtic body try using a dubbing loop.